Welcome to Modern Agency SAS ( Lefty, "we," "us," "our") privacy notice. Please read this notice carefully to get a clear understanding of how we collect, use, protect or otherwise handle your Personal Data. 1.1 Modern Agency SAS ( Lefty, "we," "us," "our"), a simplified joint stock company incorporated under the laws of France (societe par actions simplifiee) registered at the Trade and Companies registry of Paris under the number 810 844 399 is the owner of the https://lefty.io, https://dashboard.lefty.io and https://creators.lefty.io websites (collectively, the Platform or the Site). We are based in France, our headquarter is located 48 rue Montmartre, 75002 Paris, France. 2.1 Personally-Identifiable Information: We may collect personally identifiable information when you specifically and knowingly provide it to us, for example when you request support, or register and provide personal information such as your email address, name, phone number, credit card information, or other details. Where applicable, personally identifiable information includes "personal data" as defined in applicable law. 2.2 Sensitive Personal Data: We ask that you not send us, and you not disclose, any sensitive personal data (e.g., social security numbers, information related to racial or ethnic origin, political opinions, religion or other beliefs, health, biometrics or genetic characteristics, criminal background or trade union membership) on or through the Services or otherwise to us. If you send or disclose any sensitive personal data to us when you submit content to the Platform, you consent to our processing and use of such sensitive personal data in accordance with this Policy. If you do not consent to our processing and use of such sensitive personal data, you must not submit such content to us. 2.3 Non-Personally-Identifiable Information:We may collect and aggregate non-personally identifiable information which is information which does not permit you to be identified or identifiable either by itself or in combination with other information available to a third party. This information may include information, such as a website that referred you to us, your IP address, browser type and language, hardware types, geographic location, and access times and durations. We also may collect navigational information, including information about the Site content or pages you view, the links you click, and other actions taken in connection with the Platform. 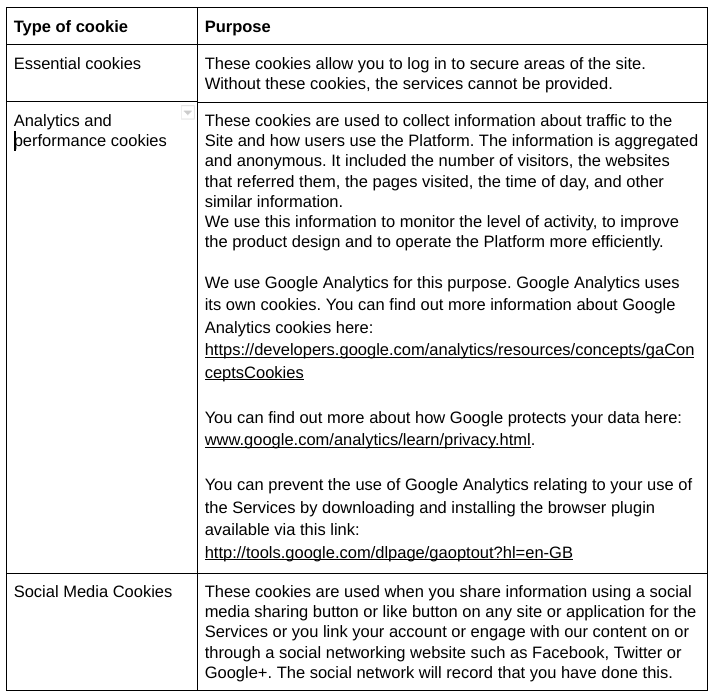 2.4 Cookies: Lefty installs a cookie to differentiate you from other users and capture and remember certain information. We may use both session cookies (which expire once you close your web browser) and persistent cookies (which stay on your computer or mobile device until you delete them) to provide you with a more personalized experience while using the platform. 3.1 We will only use your personal data to the extent that the law allows us to do so. 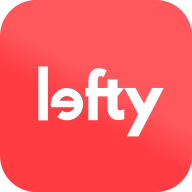 4.1 We may send you occasional communications to make your experience with Lefty optimal (eg: a new feature on the platform). 4.3 From time to time, we may send users important notices, such as changes to our terms, conditions and policies. Because this information is important to users interaction with us, they may not opt out of receiving these communications. 5.1 We do not sell your personal data to anyone. 7.1 You can withdraw your email consent for marketing related communication at any time. You will find a sign-out button at the end of each email. 7.2 Lefty reserves its rights to send business related communication for processing contract and - or service agreement. 8.1 By using this Site, you signify your acceptance of this policy. If you do not agree to this policy, please do not use Lefty. 8.2 Your continued use of Lefty following the posting of changes to this policy will be deemed your acceptance of those changes. This document was last updated on June 28, 2018.